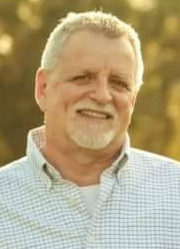 Paul Hutchison, pastor, Community Grace Brethren Church, Greencastle, Pa.
Paul Hutchison, the pastor of Community Grace Church, Greencastle, Pa., will undergo a quadruple bypass surgery on Tuesday morning at Hershey Medical Center in Pennsylvania. His wife, Denise, has asked for prayer and encouraged people to flood his room with cards. The cards should be addressed to Paul Hutchison, Room 1211, Penn State Hershey Medical Center, P.O. Box 850, Hershey, PA 17033. He is expected to be hospitalized at least until Friday, October 28. Paul we are sending our love! Thank you for all you have done for us! We are praying that our mighty God touches the surgeons and you during your time of surgrry and recovery! We love you. Denise if there is anything we can do for you please let us know!